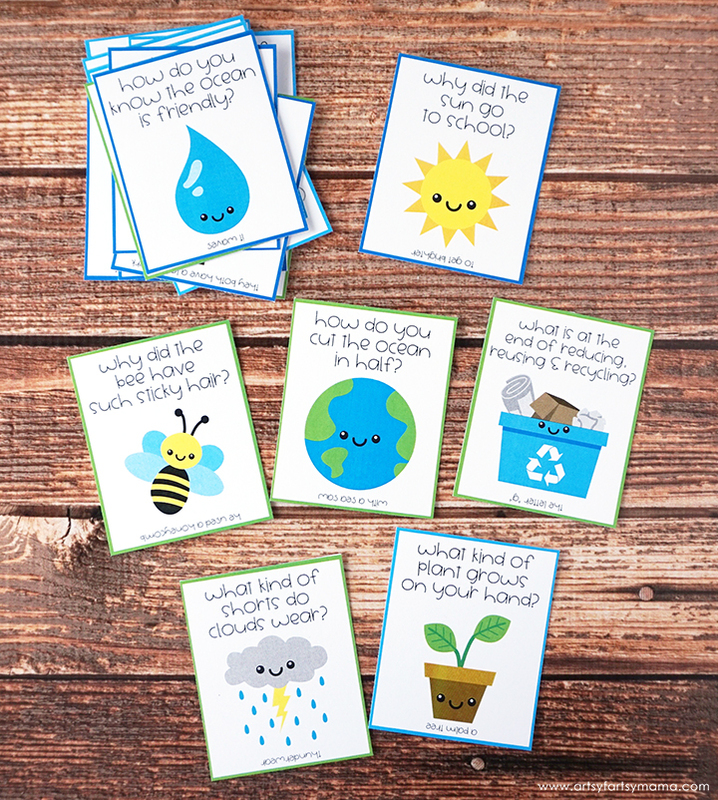 Celebrate Earth Day with these funny Free Printable Earth Day jokes for kids! We are always telling each other jokes and riddles at our house, and I can't resist a good pun! Earth Day is on the way, which inspired me to make some Free Printable Earth Day Jokes to share with all of you. You can print them out and share them with your kids at the dinner table, or toss them in their lunch box for a fun surprise at school. These also work well in my husband's classroom to keep the kids entertained while learning about our Earth! Download and print the jokes. For best results, I recommend printing on cardstock. Use a paper cutter or scissors to cut them out. In the download are 18 kid-friendly jokes that are perfect to share on Earth Day. 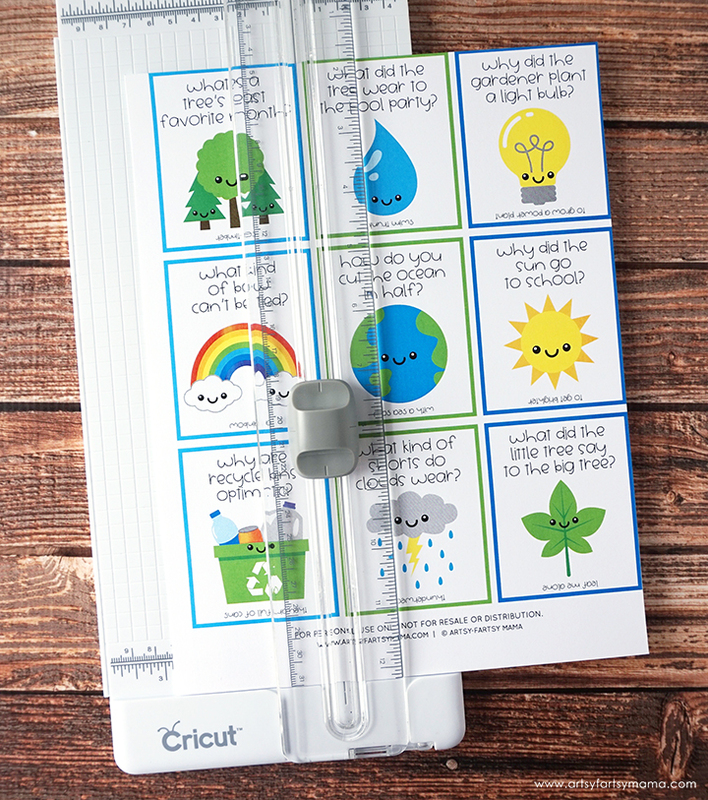 Kids will love hearing and repeating the jokes about weather, plants, and the Earth with everyone they see! 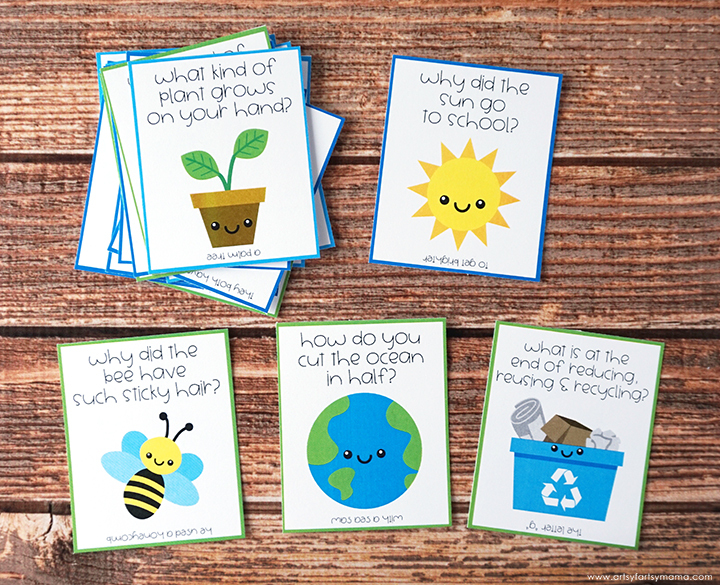 The joke cards are the perfect size to add to a lunch box, or for sharing at parties and in the classroom. 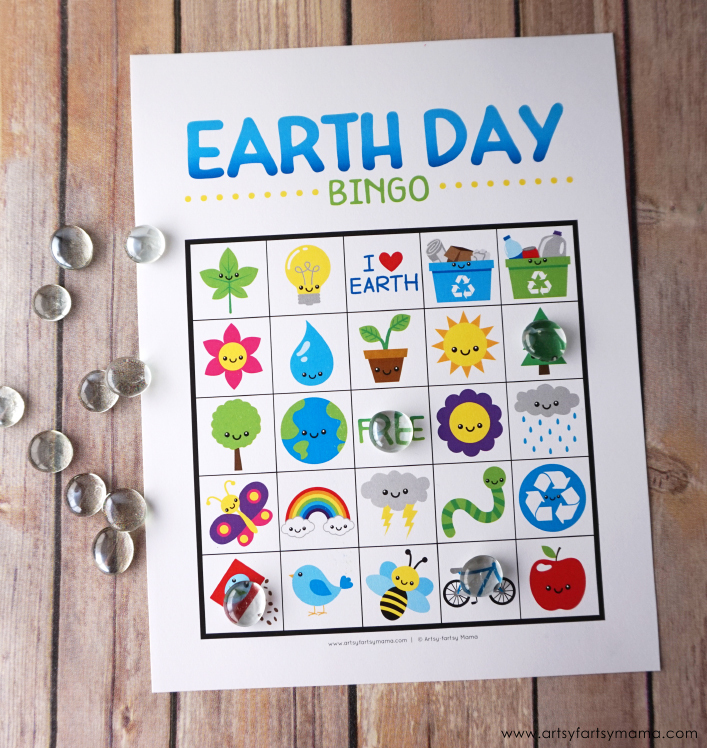 Don't forget to download and print my Free Printable Earth Day Bingo to play on Earth Day, too! What's your favorite Earth Day joke?